To understand whether both are same or different,We must know the meaning and origin of The Word "Hindu".This word "Hindu" is very much misunderstood and misused. Many people have no idea how the word originated. In India, some politicians use the the words Hindu and Hindutva with communal overtones either to promote or oppose some ideology or party. To the rest of the world, Hindu and Hinduism refer to a set of people belonging to definite religious system.But,the fact is that the both the words "Hindu" and "India" have foreign origin. 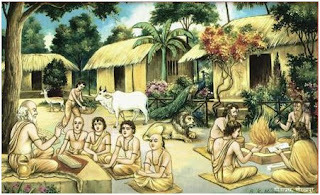 The word "Hindu" is neither a Sanskrit word nor is this word found in any of the native dialects and languages of India. It should be noted that "Hindu" is not a religious word at all. There is no reference of the word "hindu" in the Ancient Vedic Scriptures too. 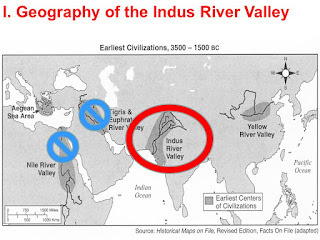 It is said that the Persians used to refer to the Sindu river as Hindu river.Sindus is a major river which flows partly in India and partly in Pakistan. However, the Persians could not pronounce the letter "S" correctly in their native tongue and mispronounced it as "H." Thus, for the ancient Persians, the word "Sindhu" became "Hindu." The ancient Persian Cuneiform inscriptions and the Zend Avesta refer to the word "Hindu" as a geographic name rather than a religious name. When the Persian King Darious 1 extended his empire up to the borders of the Indian subcontinent in 517 BC, some people of the Indian subcontinent became part of his empire and army. Thus for a very long time the ancient Persians referred to these people as "Hindus". Some sources report that it was Alexander the Great who first renamed the River Sindhu as the Indu, dropping the beginning “S”, thus making it easier for the Greeks to pronounce. 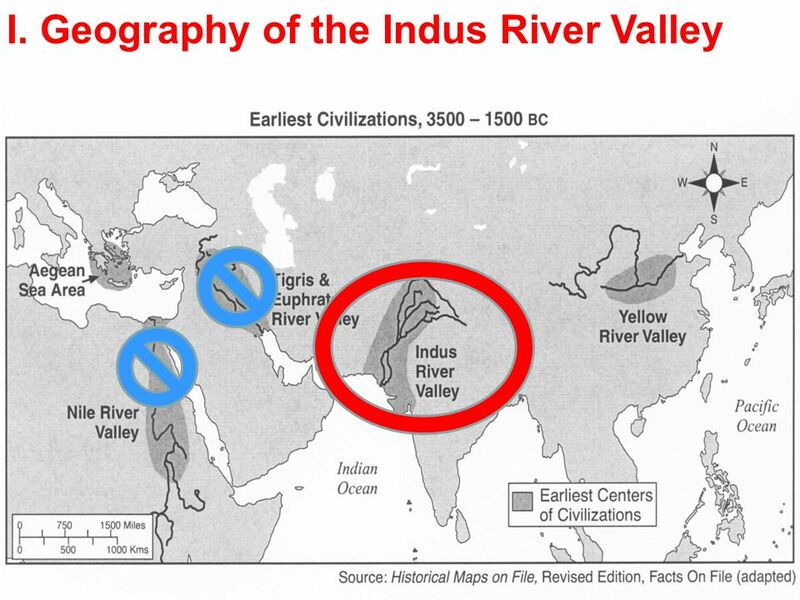 This became known as the Indus. This was when Alexander invaded India around 325 B.C. His Macedonian forces thereafter called the land east of the Indus as India, a name used especially during the British regime. Before this, the Vedic name for the area was Bharat or Bharatvarsha.For the Arabs the land became Al-Hind. The Muslim rulers and travelers who came to India during the medieval period referred the Indian subcontinent as "Hindustan" and the people who lived there as Hindus. Thus, if we go by the original definition of the word Hindu,the word 'Hindu' has no meaning actually. Hindu is derived from the word Sindhu in sanskrit, the historical local name for the Indus river. 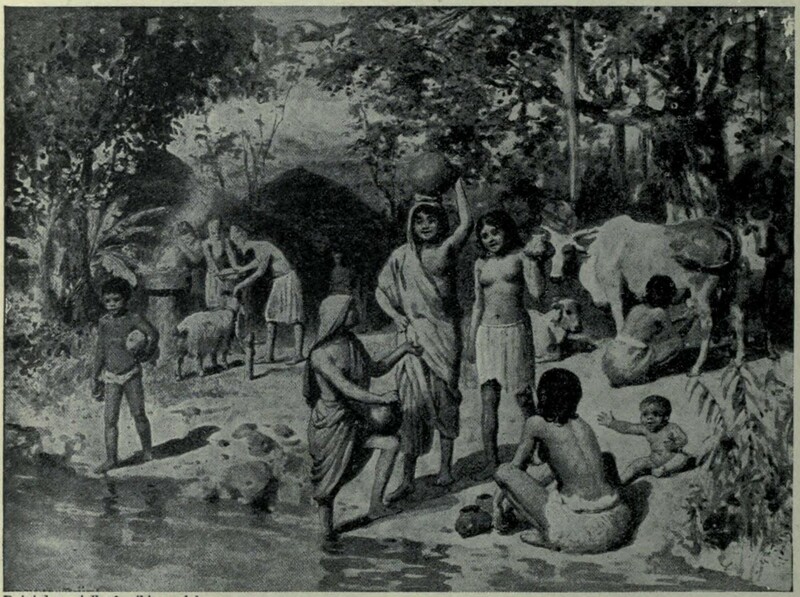 The word 'Hindu' occured first as a persian geographical term for the people who lived beyond the river Indus.So,Hindu was a geographical term and did not refer to a religion at all. According to Sir Monier Williams, the Sanskrit lexicographer, you cannot find an indigenous root for the words Hindu or India. Neither are these words found in any Buddhist or Jain texts, nor any of the official 23 languages of India. Another view of the source of the name Hindu is based on a derogatory meaning. It is said that, this name [Hindu] has been given to the original Aryan race of the region by Muslim invaders to humiliate them. In Persian,it means slave, and according to Islam, all those who did not embrace Islam were termed as slaves.” (Maharishi Shri Dayanand Saraswati Aur Unka Kaam, edited by Lala Lajpat Rai, published in Lahore, 1898, in the Introduction) Furthermore, a Persian dictionary titled Lughet-e-Kishwari, published in Lucknow in 1964, gives the meaning of the word Hindu as “chore [thief], dakoo [dacoit/a member of a band of armed robbers], raahzan [waylayer], and ghulam [slave].” In another dictionary, Urdu-Feroze-ul-Laghat (Part One, p. 615) the Persian meaning of the word Hindu is further described as barda (obedient servant), sia faam (black colour) and kaalaa (black). So these are all derogatory expressions for the translation of the term hindu in the Persian label of the people of India. Science considers an image or a symbol as one of the most influential ways to control one;s mind.It further states that the concentrating on a particular photo or an image can actually stabilize one's mind.In the same way if you see an idol of the god and start praying or meditating ,keeping the same image in your mind you can meditate in much effective way rather than having no image in your mind.It is believed that Saivaites were able to identify this fact and hence encouraged the concept of Idolatry.So, Saivaites worship idol with full of love and devotion to God ,and they firmly believe that God is not only in that idol, but also he is with him and god is with everyone. Idolatry literally means the worship of an "idol", or in more neutral language a cult image, in the form of a physical image, such as a statue or icon.They are a means to focus one's religious pursuits and worship . In Abrahamic religions,for example ,the Christian use of the cross as a symbol of Christ,even though idolatry has been considered as the "worship of false gods" by them .Similarly,Strictly speaking,Others who says they are against Idolatry,actually worship in the form of Holly book,crescent,or a particular form of worship place/temple.Saiva religion recommend starting out with worship of god bearing a physical form since this is what the average, uncomprehending human mind can relate to. Faith helps many people deal with unspeakable anguish that is hard to overcome otherwise.The Shastras are very clear that worshiping a physical form and following rituals is only the first step in man's spiritual journey.Think of it as giving a child lego blocks to play with before she becomes a world class engineer designing a building on a computer as an adult. It's a long journey that starts with developing an interest in building first.One time Swami Vivekananda reached Alwar and went to meet Mangal Singh at his palace. Mangal Singh smiled and told him that "The idols you worship are nothing but piece of clay, stones or metals. I find this idol-worship "meaningless". Vivekananda saw a portrait hanging in the wall of the court. Vivekananda approached towards the painting, looked at it, and asked the dewan of the court to take it down from the wall. It was a painting of Singh's deceased father. When the dewan took the picture down from the wall, Vivekananda asked him to spit on it.The king was furious, "How dare you ask him to spit on my father? ", he cried, in a tone of demanding an explanation. Vivekananda smiled and quietly replied, "Your father, where is he? It is a just a painting— a piece of paper, not your father. "Vivekananda's reply followed the logic of the king's previous comment on idols. So, he was perplexed and speechless and did not know what to say.Vivekananda once again started explaining to him, "Look Maharaja, this is a painting of you father, but when you look at it, it reminds you about him, here the painting is a "symbol".Similarly when a Hindu worshipper worships an idol, the idol reminds him about his beloved deity and he feels the presence of the deity in the idol. Here too it is a "symbol". Maharaja, it is all about feelings and realization.To become an engineer,you have to follow BSc eng,To become a doctor,you have to follow MBBS.Similarly,To become a Saivaite,you have to follow Agama,which containing the principles and practice of Saivism.Some believe the earliest agamas to be much older than the Vedas and superior to the Vedas.Unlike the Vedas, the Agamas are meant for all castes and sections of society, including women. Agamas deal with the philosophy and spiritual knowledge behind the worship of the deity, The yoga and mental discipline required for this worship, and the specifics of worship offered to the deity,whereas,the Vedas consisted of four collections of mantras , each associated with a particular priest or aspect of ritual .They are mainly thoughts, ideas, speculation, and poetry about man and the universe, plus prescriptions for sacrifice and ritual. The Saiva Siddhanta System[சைவ சித்தாந்தம்] is the most elaborate, influential, and undoubtedly the most intrinsically valuable of all the religions of India. It is peculiarly the South Indian and the religion and philosophy of the Tamil people.Dr. Pope says : "Saivism is the old pre-historic religion of South India, essentially existing from pre-Aryan times, and holds sway over the hearts of the Tamil people. 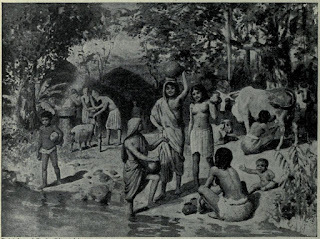 "The Saiva Siddhanta as it appears to be,is solely a product of the evolution of thought of the Tamils.It is a well known fact that the agamic[ tradition or "that which has come down"] principles and the religion that is associated with are intrinsically different from the vedic thought and practices,So-much-so the two cannot be conceived to belong to the same nationality.If the latter belongs to the Aryans.the former falls to the lot of the Dravidians:Of the Dravidians too,the Tamils only seem to have had a culture which extends back wards even before the vedic period.Therefore the presumption that the Tamils are responsible for the production of the Saiva agamas is not without force,and this presumption leads us to the logical conclusion that Saiva Siddhanta belongs to the Tamils.Hence,Since Saiva Siddhanta is belonged to be a system built up by the Tamils,One would expect a host of Tamil literature on the subject.Disappointment will be starting in the face,If anyone looks for early Tamil work on philosophy & religion.Saiva Siddhanta, as a system of philosophy, first assumes a palpable form in Tirumantiram, composed by Saint Tirumular of 5th century AD,who said : "The Lord made me, my task assigned,In sweetest Tamil His Glory to expound./"என்னை நன்றாக இறைவன் படைத்தனன் தன்னை நன்றாகத் தமிழ் செய்யுமாறே".The term Siddhantam also was first used by this great Saint/Saiva mystic (சித்தர்) Tirumular[திருமூலர்] in his great work,Tirumantiram [திருமந்திரம்] verse 1421. They, forsooth, are the Saiva Siddhantis true."